It has been about 2 months since I’ve sat down and written anything. Life has just been so hectic that every moment has been spent catching up on what I missed when I was ill throughout November. 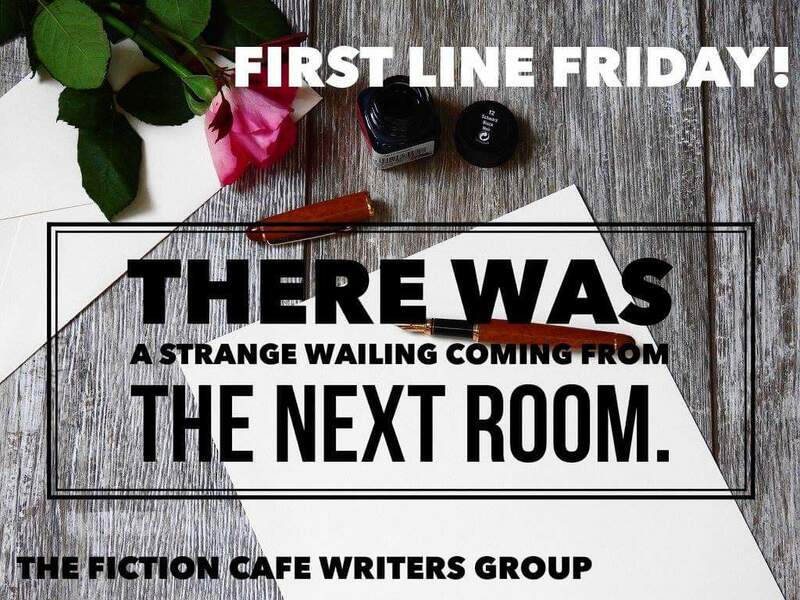 Today I am breaking myself back in gently with a First Line Friday prompt from The Fiction Cafe Writer’s Group. As always the task was to use the first line and create a story around it in no more than 750 words. Word Count 376 – Unedited. ‘There was a strange wailing coming from the next room. Noises in this place weren’t exactly unusual but this was different. A chill ran down my spine and the hair on my arms stood on end. The large white clock on my wall ticked loudly with each second that passed. I sat up in my bed, frozen to the spot unable to move. I let out my breath slowly afraid that I would draw attention to whatever it was that woke me from my slumber. The silence was eerie, unusual for this place. I’d been locked up in de Luca Asylum now for around 7 months. It was hard to tell how long exactly anymore. A combination of pills and treatments had left me more confused than when I entered. I still wasn’t sure why I was even here, I wasn’t the one who started the fire but they wouldn’t listen, they never did. They told me that I was hallucinating, that the man I was with wasn’t real and I had imagined everything. He was the one who started the fire, the fire that destroyed my parents home and killed my father. It wasn’t me. The wailing had stopped now. I pulled the scratchy white sheet off and slide my legs down the side of the bed onto the cold floor. I got up slowly, careful not to make a sound. I walked over towards my door to peer out of the little square window. I looked out at the sheer white corridor, the bright lights were glaring, reflecting off the walls. I couldn’t see anything. A few people moved around down the end at the nurses station but that wasn’t unusual. There was no sign of anything amiss. It was then I heard a shuffling sound, then out of no-where the face of a woman appeared at the window. It looked wild, hair all over and eyes wide. Dirt smudged across her cheek. That noise again, the wailing came from her mouth. Behind her I saw the nurses trying to grab her and she thrashed about. I saw the glint of the metal as the needle hit the woman’s neck sending her instantly to sleep. Another new patient, welcome to the madhouse crazy lady’.